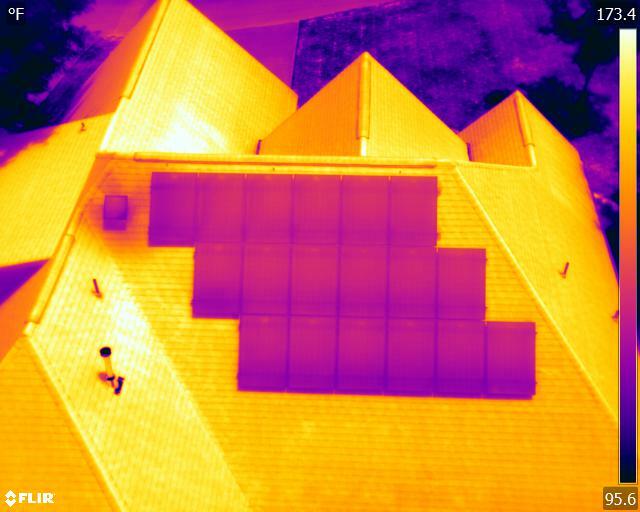 BLOG Newly Discovered Use for Thermal Drones! Yes. Driving in the car. I recently became a Certified Infrared Thermogapher. That being said, thermal solutions are on the forefront of my ideas lately. I already had my aircraft out and ready to go so I decided to do an experiment. I found an appropriate place to take off and land and pulled over. I’d been flying the new DJI M 210, with two lenses, the XT and the Z 30 — a great combo! 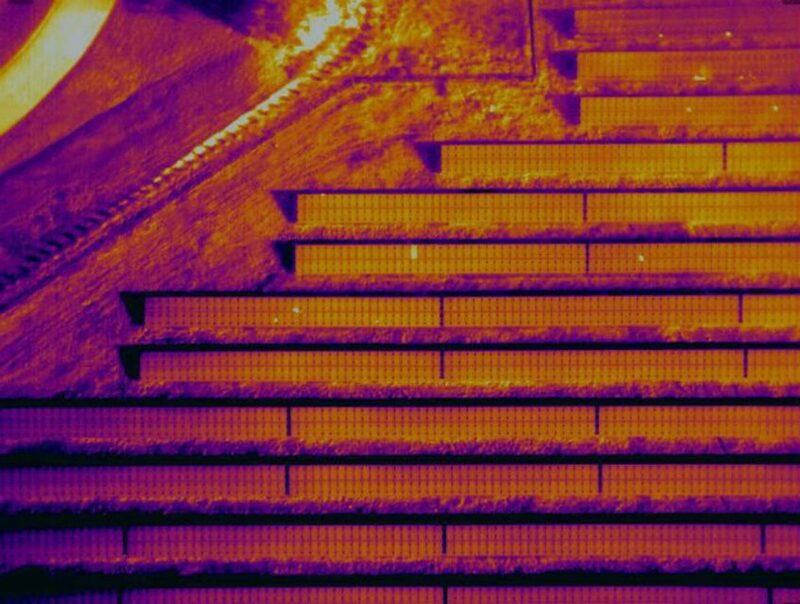 The XT is a thermal infrared camera made by FLIR specifically for the sUAS platform. 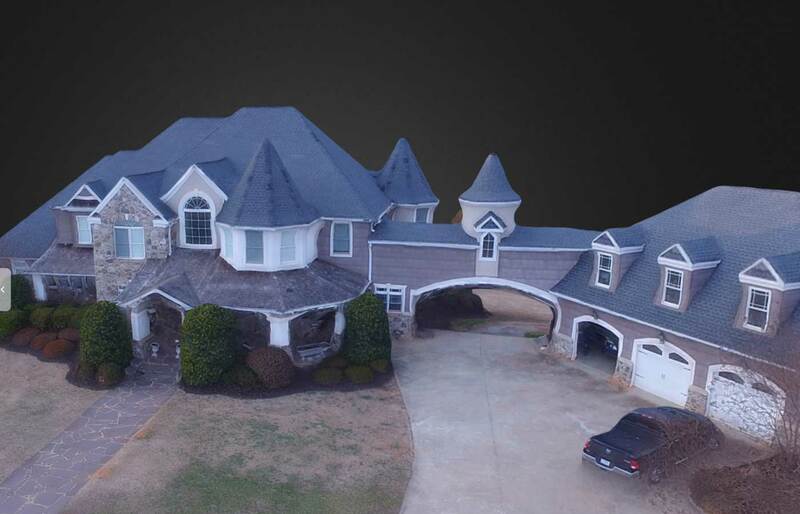 The Z 30 is a 30x zoom made by DJI, which is a great compliment to the XT and the two-camera platform of the M 210. 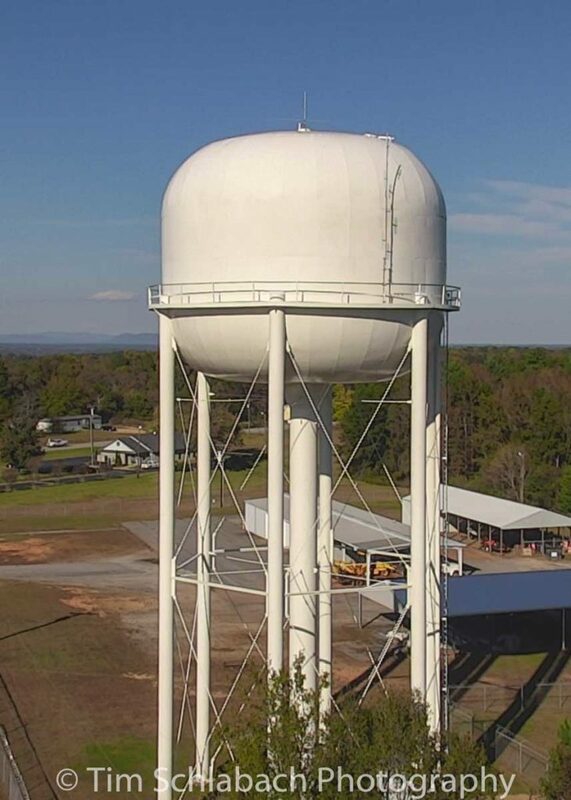 As I got into the air looking for a good angle on the water tower I switched lenses to the XT. The lenses are coupled together on the controller so switching between lenses it is extremely easy because focusing one camera simultaneously focuses the other on the same object. As I flew around looking for an interesting composition it was obvious through the XT lens the water tower was three quarters full. I continued flying around to find the best angle to show the greatest temperature difference and the least amount of reflected interference from the tower. The water inside the tank will have a different temperature than the empty space above it. 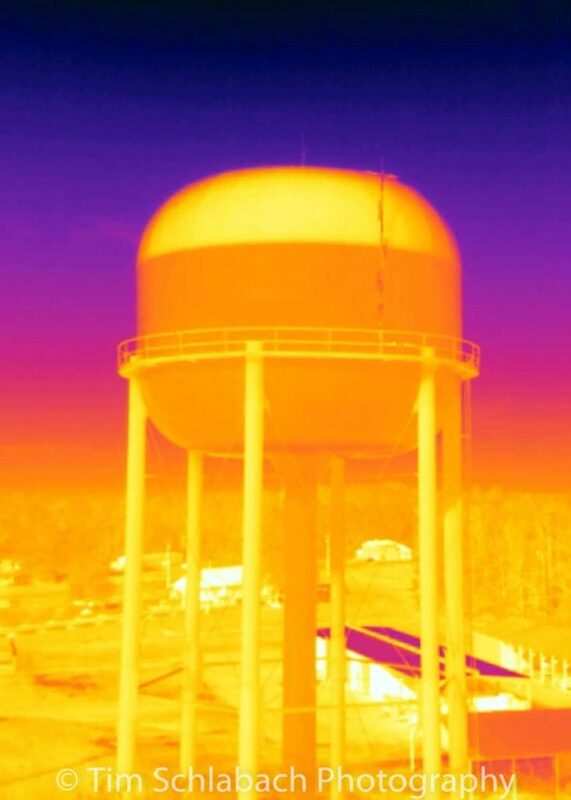 Throughout the day the sun will warm the metal of the tank not in contact with water and the temperature difference is obvious in a thermal image. Just the opposite would be apparent in the morning after the metal had cooled all night, the water would be warmer than the metal. The thermal difference is still there, but would look to be just the opposite. My curiosity was satisfied and I was actually pretty amazed at how easily you could see the water level with the thermal imaging camera.